Published: April 1, 2013 at 03:02 p.m. Updated: April 1, 2013 at 06:11 p.m.
Kevin Kolb's numbers actually weren't that bad with the Arizona Cardinals, but his injury history remains a concern. 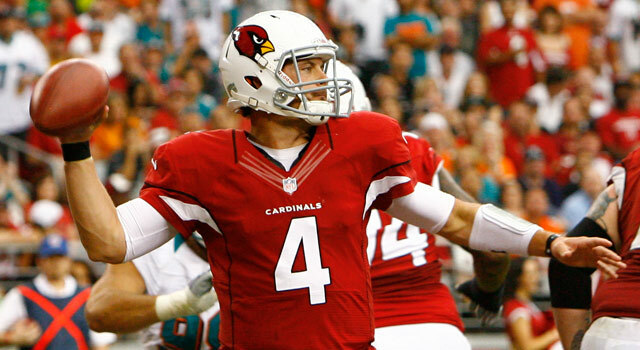 The Buffalo Bills and veteran quarterback Kevin Kolb have agreed to a two-year contract worth up to $13 million. This comes just a few weeks after Buffalo cut Ryan Fitzpatrick, who started every game for the franchise in 2012 (and 2011, as well). 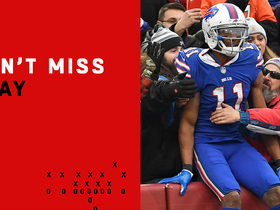 The Kolb news doesn't garner a ton of attention on the national scene, due to the signal-caller's disappointing tenure with the Arizona Cardinals, but it should provide a bit of optimism among Bills fans dying for a solution at quarterback. How does Kolb fit into Buffalo's quarterback plans? Kolb will enter training camp as the favorite to win a quarterback competition that'll feature Tarvaris Jackson and, most likely, a rookie draft pick. This might come as a surprise, given Kolb's unsuccessful stay in Arizona, but a closer look at his performance with the Cardinals suggests he didn't play nearly as poorly as critics have opined in recent weeks. In 15 games with the Cardinals, the six-year veteran completed 255 of his 436 pass attempts for 3,124 yards with 17 touchdowns and 11 interceptions. Those numbers are respectable, especially considering he was sacked 57 times behind a porous offensive line unable to keep him upright in the pocket. Now, there are concerns about Kolb's durability. He missed numerous games over the past two seasons due to maladies ranging from detached ribs to concussions to a sprained shoulder. In Buffalo, Kolb will face some competition from Jackson. The veteran has compiled a 17-17 record as a starter during his seven-year career. Prior to the 2012 campaign, the Seattle Seahawks traded Jackson to Buffalo in exchange for a conditional seventh-round pick. He served as Fitzpatrick's backup last year, failing to log a single regular-season snap. Still, the Bills re-signed him to a one-year deal and promised an opportunity to compete for the starting job. Jackson has completed over 59 percent of his passes for 7,075 yards with 38 touchdowns against 35 interceptions in 50 career games. In 2011, he posted a 3,000-yard season with the Seahawks, fighting through a torn pectoral muscle to guide the team to a 7-6 record. Although the offseason acquisitions of Russell Wilson and Matt Flynn made him obsolete in Seattle, Pete Carroll was effusive in his praise of Jackson as a leader and worker. That's why Kolb must perform well during camp to claim the No. 1 spot outright before the season. The Bills almost certainly will take a young quarterback in the 2013 NFL Draft to develop as a potential starter down the road. This could happen with the eighth overall pick if Geno Smith is available, or the team could take a chance on EJ Manuel, Mike Glennon or Ryan Nassib in the second or third round. Regardless, the young quarterback will be given the opportunity to compete for the No. 1 job with the veterans during training camp. If the youngster is good enough to win the starting gig, either Kolb or Jackson will serve as a backup/mentor, with the third wheel likely hitting the streets at the end of preseason. If the rookie is unable to win the job during camp, he'll have the opportunity to sit and develop over the course of the season. 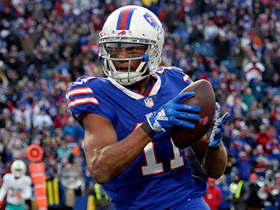 What will the Bills' offense look like with Kolb at the helm? It's a little early to speculate on the schematic design of the Bills' offense under new coach Doug Marrone, but based on his success at Syracuse and with the New Orleans Saints (as offensive coordinator from 2006 to 2008), it is very likely Buffalo will feature a pro-style system with a multitude of formations, shifts and personnel groupings. While Marrone will build the Bills' base offense around a "21" personnel package (two backs, one tight end and two wide receivers), he will incorporate a variety of other personnel groupings to maximize the talent on the roster. Looking at the Bills' personnel, the potential building blocks are C.J. Spiller, Fred Jackson and Stevie Johnson. With a pair of running backs designated as the top offensive weapons, it's easy to envision Marrone relying heavily on the ground attack as the foundation of the game plan. 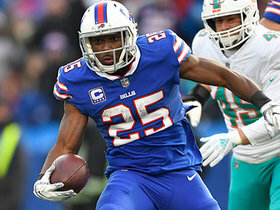 From hard-hitting power runs between the tackles to an assortment of stretch/off-tackle plays designed to attack the perimeter, Buffalo will look to punish opponents with a unique -- and powerful -- running game. Kolb's insertion into the lineup could prompt the Bills to rely on a quick-rhythm passing game, featuring an assortment of slants, screens and crossing routes to get the ball into the hands of Johnson quickly on the perimeter. Additionally, the exceptional receiving skills of Spiller and Jackson could lead to a ton of passes to the running backs on swings, flats and option routes from the backfield. Remember, Reggie Bush was utilized primarily as a receiver during Marrone's tenure with the Saints, catching 213 passes for 1,599 yards and eight touchdowns from 2006 to '08. Given Kolb's average arm strength, the Bills likely will attempt to stretch the field horizontally with a barrage of short and intermediate throws before attacking vertically off play-action passes from run-heavy formations. In Philadelphia, Kolb was at his best when Andy Reid and Marty Mornhinweg crafted clever misdirection plays with vertical routes, as evidenced by the video to your right. I would expect Marrone to follow suit. In addition, Marrone's experience as an offensive line coach will make protecting Kolb a priority. As mentioned above, Kolb was sacked 57 times in 15 games with the Cardinals. The constant harassment and punishment not only prevented him from staying on the field, but it resulted in Kolb developing some bad habits in the pocket. He started to display "happy feet" when his primary receiver was covered, and routinely took sacks rather than dumping the ball to an open receiver on a check-down or outlet. This should change with Marrone placing greater emphasis on protection. During his three seasons as the offensive coordinator with the Saints, Marrone's O-line surrendered only 52 sacks on 1,868 pass attempts. That's remarkable efficiency. Given that most of Kolb's struggles can be attributed to his lack of protection, the Bills could see a significantly better player on the field this fall. Can Kolb lead Buffalo to the playoffs? After ranking as one of the powerhouses in the AFC for most of the 1990s, the Bills haven't qualified for the playoffs since 1999. This 13-season drought is the longest active streak in the NFL and serves as an embarrassing reminder of how far the franchise has fallen over the past decade. 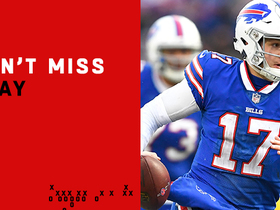 Kolb could become the latest Bills QB to resurrect the storied franchise from under center. But while he possesses some of the winning attributes that coaches covet, I'm hesitant to say he is capable of guiding Buffalo to the top of the AFC East. He is not a superior talent with the skills to single-handedly lead a team on the strength of his right arm. He needs a strong supporting cast in place to alleviate some of the pressure on him. In Philadelphia, he put together a few solid games in Donovan McNabb's absence, but that was largely due to the playmaking abilities of DeSean Jackson, Jeremy Maclin, Brent Celek and LeSean McCoy. Kolb simply got the ball into the hands of his top playmakers and allowed them to make things happen in the open field. In Arizona, Kolb was unable to replicate his brief success, despite having one of the best receivers in the game (Larry Fitzgerald). He didn't develop a strong rapport with the six-time Pro Bowler, and the Cardinals' offense failed miserably as a result. Arizona ranked near the bottom of the NFL in several key offensive categories in 2012, which is why the Cards quickly fell from the ranks of contenders, despite a 4-0 start. Now, the Bills certainly boast a better collection of offensive talent than the Cardinals with Spiller, Jackson and Johnson ranking as "red" players by league standards. However, the offensive line still needs a little work after the free-agent departure of stud guard Andy Levitre. Additionally, the team lacks another credible threat in the passing game to complement Johnson. While I'm confident Marrone's creative offensive mind will find a way to make the Bills' attack productive with Kolb under center, I simply do not believe the team has enough weapons to surpass the New England Patriots and Miami Dolphins in the AFC East race. And I don't see a wild-card bid, either. Check back with me after the draft, but right now, I'm not convinced Kolb's arrival will end the drought in Western New York.